Are you a #CoopStarter? You could be the insipiration to hundreds of new young cooperative entrepreneurs across Europe. 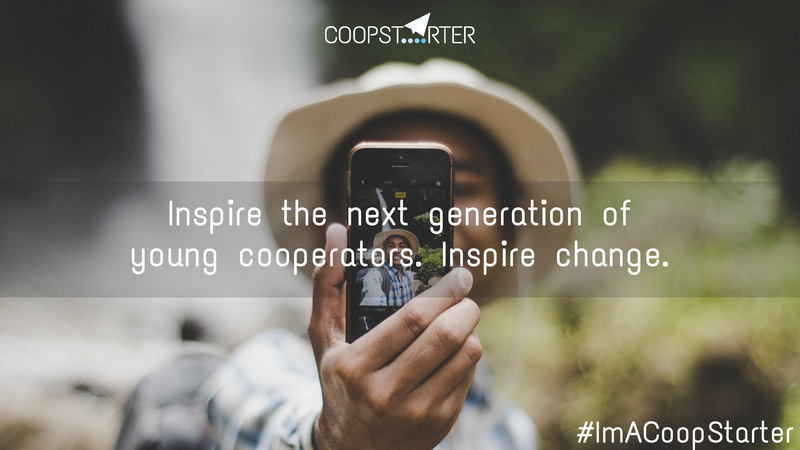 #ImaCoopStarter is a campaign of CoopStarter 2.0 project which gathers CoopMentors, youth workers, young ambassadors, trainers and EU-wide network representatives to be able to give the young the tools and opportunities to finally bring meaningful jobs and power over their own lives within reach. Read more about the project. With #ImACoopStarter video series we want to collect very short videos (2-3 min) showcasing YOU - the existing young cooperative entrepreneurs and your successful businesses. We will show what drives the young European entrepreneurs and why cooperatives are the answer for them. The videos will be later on published on social media. We challenge you to prepare entrepreneurs for a cooperative lift-off: film a short video with your phone, camera, gopro or a drone – extra points for an awesome location (Eiffel tower, a paddleboard or your coop office?). All we want to know is: why start a coop and what’s the best advice you could give to a new cooperator?